With so many of our daily chores taking place in the kitchen—not to mention its central role in entertaining—it's arguably the one room in the home that can stand to see more automation. To expedite the cooking, cleaning, organizing, and hosting that happens in the kitchen, just implement one of these smart gadgets that range from AI assistants to intelligent food scales. 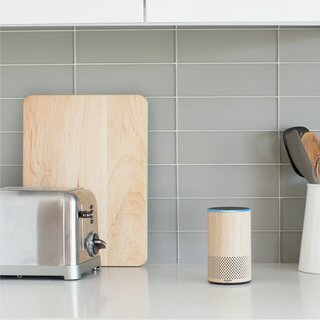 A smart Bluetooth speaker equipped with an AI assistant named Alexa, the Amazon Echo can play music, read top news stories, define terms, perform web queries, and more. 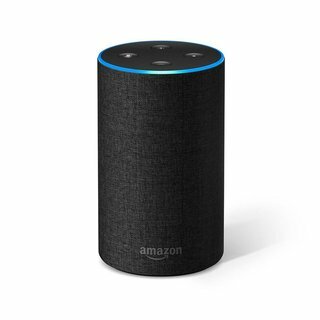 Alexa has other tricks up her virtual sleeves, too; you can, for instance, ask her to order new items from Amazon as soon as you run out, set cooking timers, read recipes, and even look up ingredient swaps. When you have your hands full preparing food or putting items away in your pantry, Alexa is indispensable. 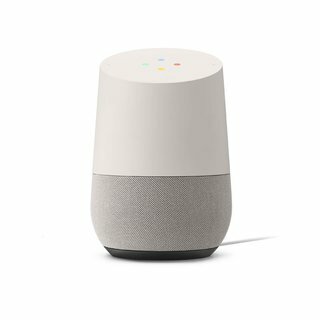 Google’s answer to the Amazon Echo is Google Home. 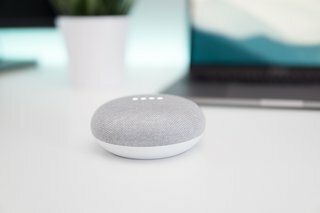 As you might expect, you can use voice commands to do Google searches, but Google Home can also set timers, offer recipe ideas, review calorie counts, build a shopping list, convert units of measurement, control other gadgets or appliances, suggest food and wine pairings, and much more. 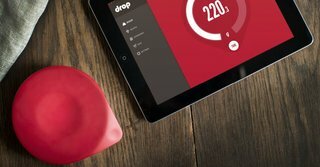 Drop is a smart food scale designed to help you keep your portions in check and maintain a healthy lifestyle. It also has an excellent companion app that offers some of the best recipes around, walking you through the entire preparation, cooking, and plating process. 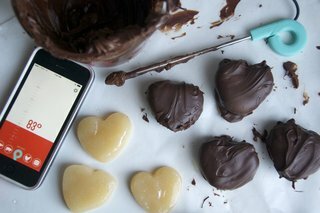 Together, the Drop scale and the Drop Recipes app are an unbeatable combination that helps anyone make beautiful and delicious food, regardless of experience. 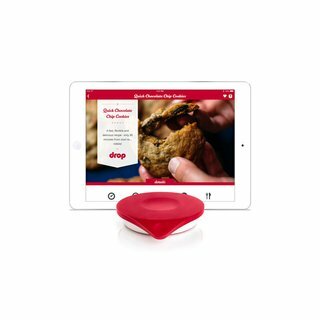 Drop’s connected kitchen scale works seamlessly with the Drop Recipes app to ensure great results every time you step in the kitchen. If grocery shopping is one of your dreaded errands, Hiku is the answer for you. The button-shaped device can scan barcodes and recognize voice commands in order to create a dynamic shopping list that the whole household can access through a companion mobile app. It can also connect to select online stores to do your ordering for you. Scan it. Say it. Shop it. 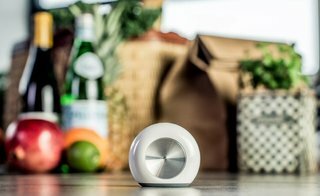 hiku lives in your kitchen, scans barcodes and recognizes your voice – creating a shared shopping list on your phone so you always know what you need. Use the hiku shopping list app at the store – any store – and your list is always with you. A smart thermometer that sends remote alerts to your iPhone or iPad via a mobile app, Range helps you monitor your food while you take care of other tasks. It takes a calibrated temperature reading of your food and uses USDA and gourmet-recommended presets to let you know when everything’s cooked to perfection. Every cook can use an assistant to cook a succulent turkey, hit firm ball on the nose when making caramel, repeat your best homebrew recipe, or execute a perfect New England roast. Range can help you achieve great results with less effort. 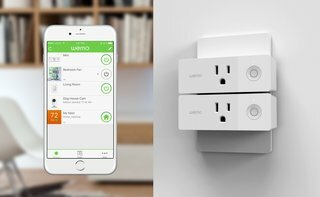 Smart plugs allow you to upgrade your home without buying all-new appliances. For example, instead of pairing a smart coffeemaker with your phone to turn it on and off, you can just connect your existing pot to a smart plug. 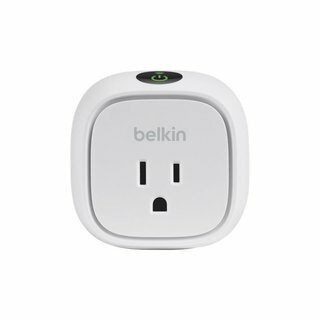 Remotely control your lights and appliances with a system like the WeMo smart plug and switch series from Belkin. With the Wemo Insight Wi-Fi Smart Plug, you can monitor energy consumption right from your phone or tablet. This Smart Plug provides real-time reports on how much energy your devices are consuming. 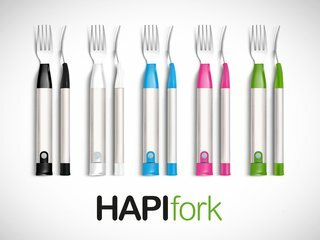 The HAPIfork is a smart, Bluetooth-enabled piece of cutlery that monitors how quickly you eat your meals, the number of forkfuls making up each meal, and the interval between forkfuls—flashing or buzzing if you're in a rush. 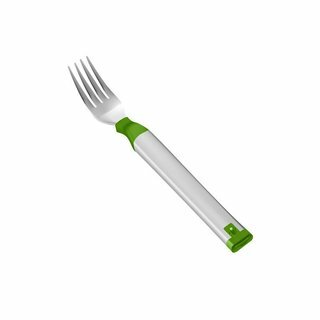 By slowing you down and making you more mindful of your eating habits, HAPIfork promotes better digestion and weight control. It builds a unique profile for you, which is accessible through the companion app or the online dashboard. Eating too fast leads to poor digestion and poor weight control. 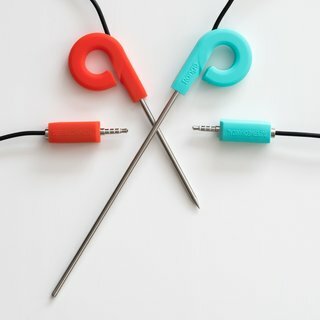 The HAPIfork, powered by Slow Control, is an electronic fork that helps you monitor and track your eating habits. It also alerts you with the help of indicator lights and gentle vibrations when you are eating too fast. 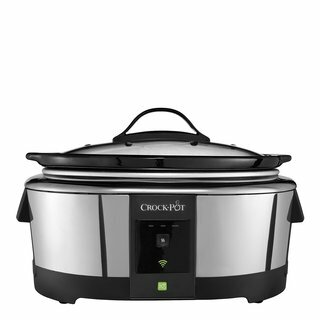 A kitchen no-brainer, the Crock-Pot makes it possible for you to arrive home to a freshly prepared meal. 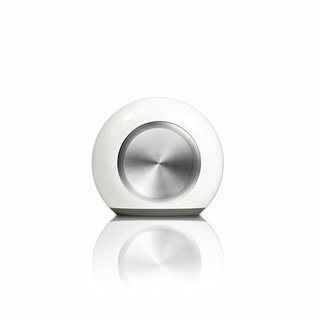 The WeMo-enabled version takes the convenience a step further by allowing you to remote control and maintain your slow-cooked dishes from an iOS or Android mobile device by adjusting temperatures or cooking times. 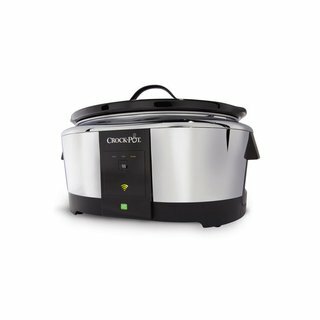 The Crock-Pot Smart Slow Cooker is WeMo enabled and works with your smart device to let you conveniently adjust cook settings from virtually anywhere. Go ahead, keep on shopping, working or playing for as long as you want. Dinner will be ready whenever you arrive home.